Practical advice. Trusted advisors. Deep experience. MadisonJay Solutions' clients are working to build a new world. Our clients are at the forefront of a national revolution of federalism that the Founding Fathers—from James Madison to John Jay—would have understood well. Our clients are responding to the will of the voters to regulate cannabis, whether adult-use marijuana or hemp-derived CBD. But while fortune may favor those intrepid individuals with the fortitude to lead new industries, new industry means new challenges, evolving regulations, and uncertain application. Of course, investors still want answers in real-time. But the old aphorism remains true: information is power. That’s where we come in, drawing on expertise we've forged across our decades of experience in compliance. 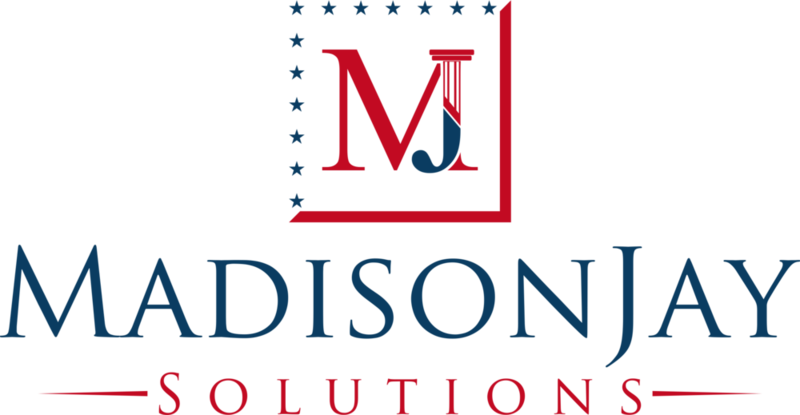 At MadisonJay, we provide practical information and advice to help our clients navigate that ever-shifting regulatory thicket. We provide credible solutions for clients who are studying the market, and those who have already entered. Today, state regulation of cannabis is frequently modeled on—or even conducted by the same dedicated public servants tasked with—alcohol regulation. We draw on our deep experience in the alcohol industry and in developing compliance systems for Fortune 500 companies to help our clients understand and thrive under applicable federal and state cannabis guidance. Regulation in this area is still being written and rewritten. But at MadisonJay, we work with our clients to yield business-centric strategies on the cutting edge of compliance: protection for the present and a competitive advantage for the future.